Drive-Master sets the standard when it comes to Hand Controls. Drive-Master Company is a pioneer in Hand Control Mobility Solutions. Drive Master has engineered every conceivable Hand Control System for the Hadicapped Driver. For positive one Hand Control of the Steering Wheel. Remains in a fixed position via two support straps stemming from a fixed base which is attached to the Steering Wheel. The base’s position along the inside of the Steering Wheel is adjustable according to the individual’s Abilities. 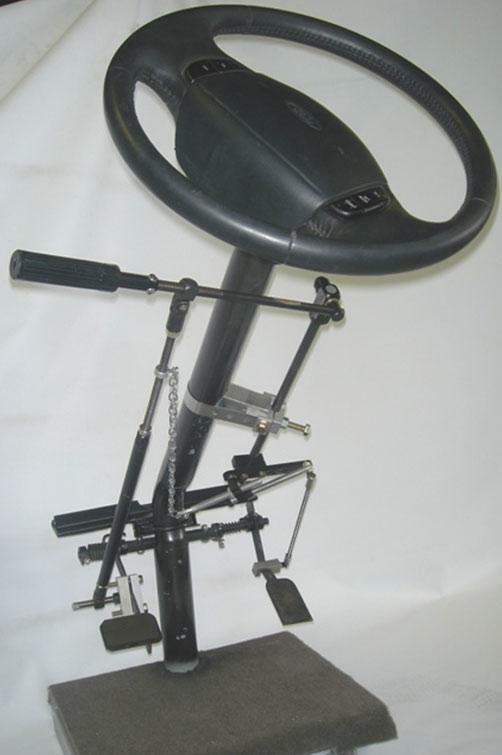 A Steering Device for Drivers with no grip and diminished wrist stability. Also firmly supported by a secure base located along the inside of the Steering Wheel. Each pin is covered with foam to provide the Driver with maximum comfort. This Steering Device offers complete support and control for the totally Disabled Hand and Wrist. Steering Device for Drivers with minimum grip, stabilizes the Driving Hand securely. Secured base is also adjustable according to individual Abilities. Can be placed at any position on the Steering Wheel according to Driving Prescription and personal comfort. Comes with soft insert. Requires moderate tensor control. 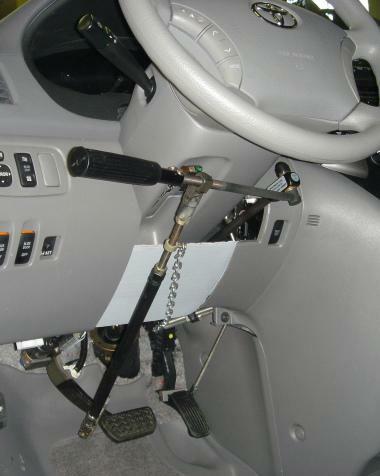 Accommodates most Drivers with a Prosthetic Hook on their Steering arms. Made of durable steel and can be placed most locations on the Steering Wheel. The prosthesis should have soft surface pinchers.